This event incorporates the first round of the 2018/19 SWELL (South & West Essex Local League) season plus a round of the ESSOL schools competition. We welcome CHIG (Chigwell & Epping Forest), DFOK (Dartford) and SOS (Essex Stragglers) Orienteering Clubs for their respective club championships. The event is open to all orienteers and suitable for newcomers. The car park is hard standing or on well drained grass areas. There is a tiered Essex County Council "Pay and Display" charge: upto 1hr £2.20; 2hrs £3.30; 3hrs £4.40 or over 3hrs £5.50 (coins and cards accepted), you will need to enter your car registration number before paying. Public Transport:The nearest railway station is at West Horndon, 3 km to the south: half-hourly service from Fenchurch Street. There are no local bus services on a Sunday. Event registration will be next to the car park. Toilets adjacent to the west end of the car park; unfortunately the cafe is currently closed. Start and Finish within 200-300m of the car park. Other attractions: Lake with wildfowl and a barbecue area. Starts 10:15am to 12:30 pm. 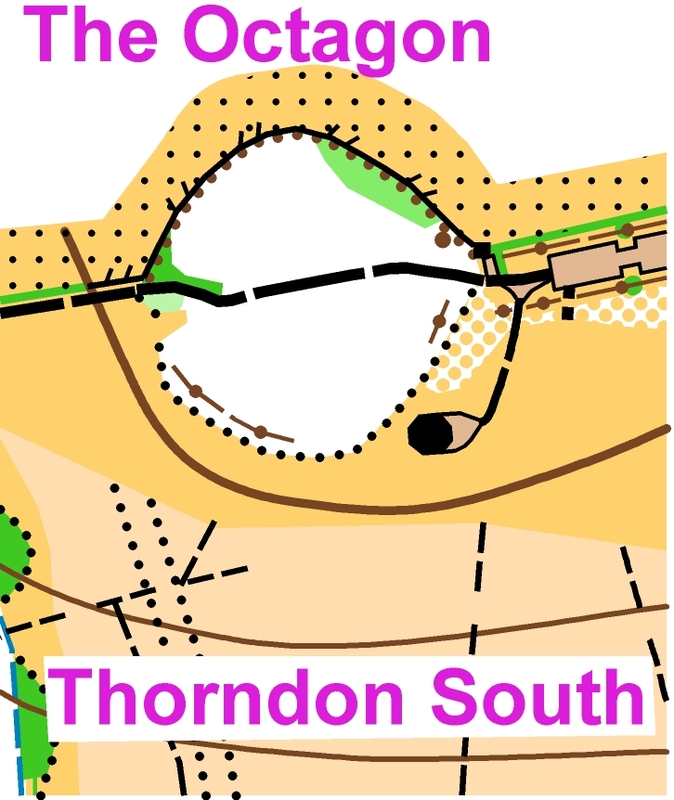 Courses will be suitable for beginners, improvers and experienced orienteers. Help and coaching will be available for beginners/improvers (please ask at Registration). Maps will be overprinted on waterproof paper. Loose control descriptions will be available from Registration. Not permitted on the courses because of livestock. Dog exercise circuit around the grass field south of the car park.